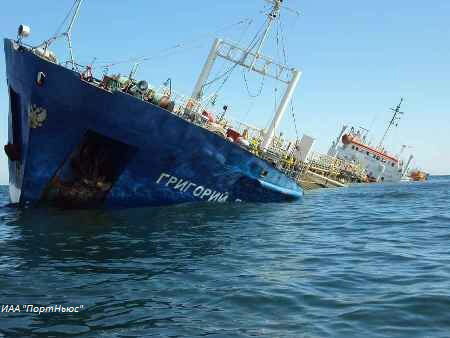 The 133 meter long, 6611 dwt tanker Grigoriy Bugrov sank on the Caspian Sea near Chechen Island, Russia located close to the entrance to the Volga-Caspian Sea Canal. 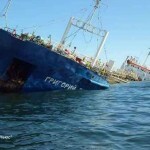 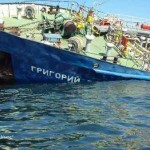 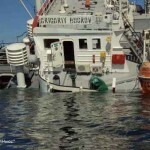 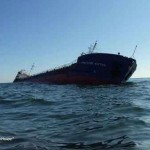 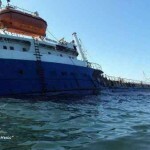 The tanker had collided with a submerged object damaging the hull near the engine room. 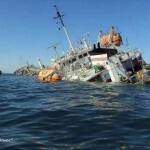 The Grigoriy Bugrov filled with water and sank in 8 meters of water listing 27 degrees to port. 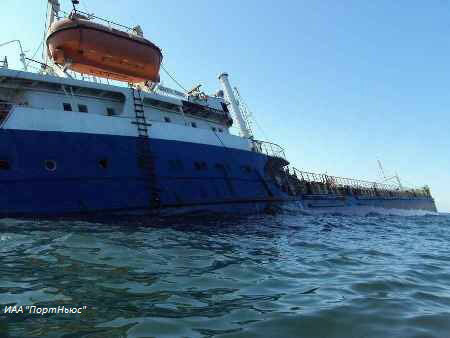 All 14 crew were able to escape and there were no reported injuries. 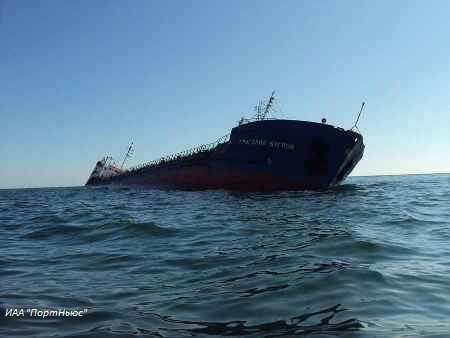 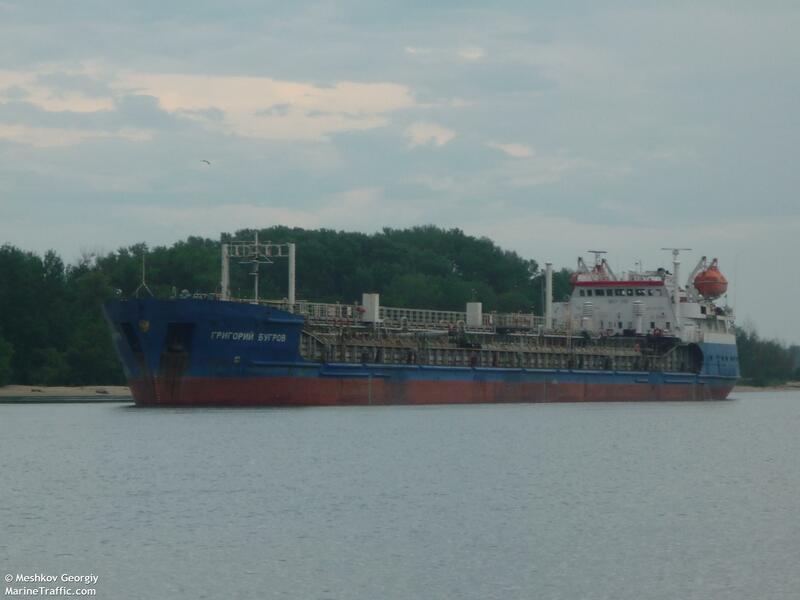 The tanker had 6000 metric tons of heavy oil on board, but no reported pollution being released. 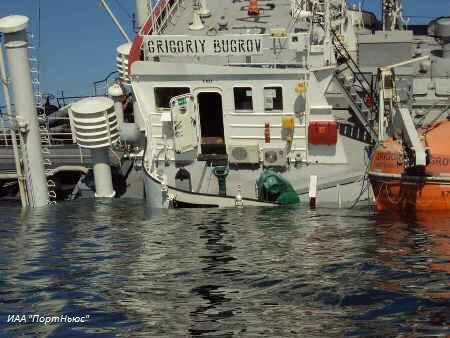 The Grigoriy Bugrov was built with a double hull preventing any oil from leaking out. 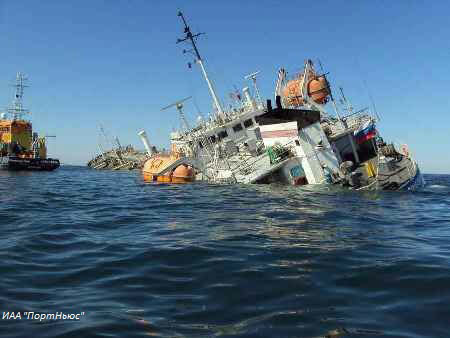 Salvage vessels and equipment have been dispatched to the scene. 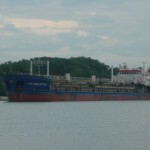 The tanker is to be raised and towed to Astrakhan. 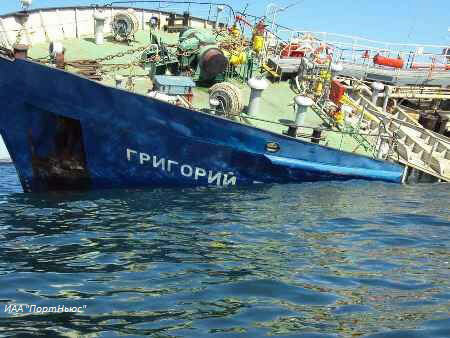 Reports state the object that was struck belonged to the Russian Navy.